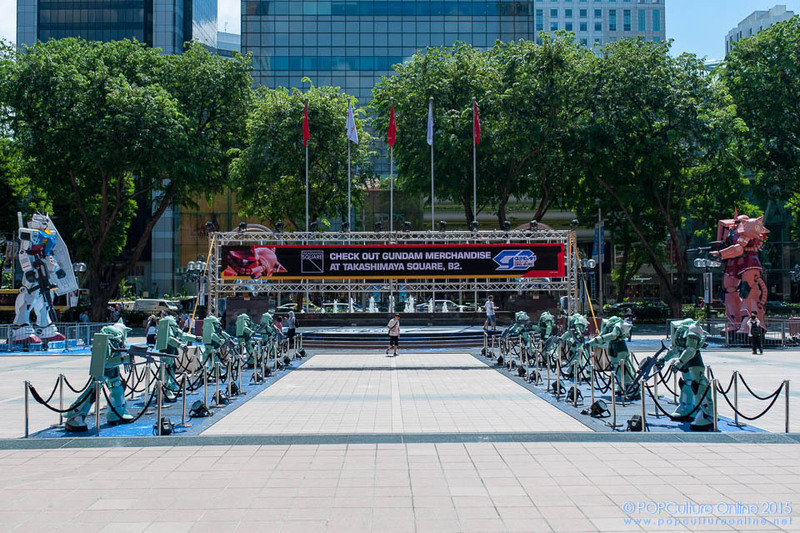 Gundam comes to Town with Gundam Docks at Singapore! I still remember my first run in with Japanese animation is with a white and blue robot fighting with a red robot with one eye. Gundam experts will immediately know this as one of mecha’s fiercest rivalry between Amuro Ray and Char Aznable which carries on throughout the entire Universal Century (UC) series of the anime (which is still one of my favourite). Since then I started saving my weekly allowance to buy Gunpla or Gundam plastic model kits everytime I saved enough. From my personal favourite, the GP03 from Mobile Suit Gundam 0083: Stardust Memory to the Zeta from Mobile Suit Zeta Gundam, I would pester my parents to allow me to get those Gunpla. Soon my collection grew to include Gunpla from Mobile Suit Gundam Wing, Mobile Suit Gundam 00 till I now have uncompleted Gunpla lying in my room including Gundam Crossbone and Build Burning Gundam to the dismay of my mother. 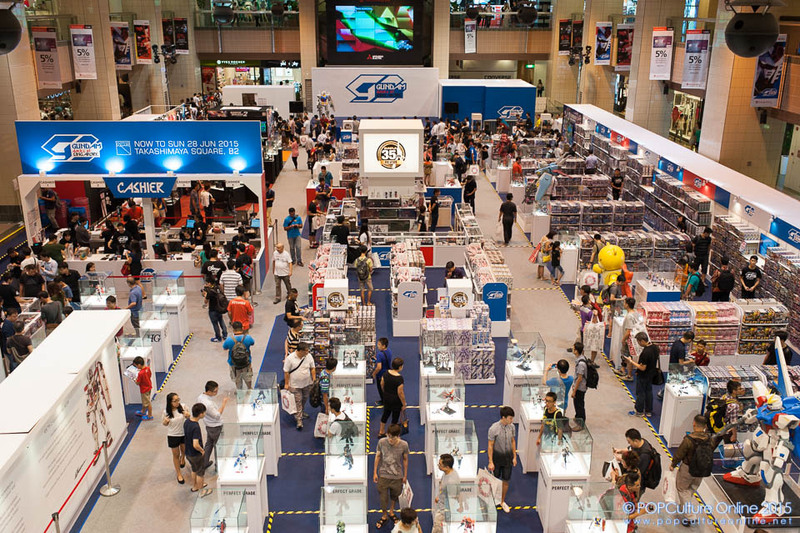 It is not hard to imagine my excitement when Gundam Docks was announced to be held at Nee Ann City, one of my favourite Gunpla hunting ground especially when there is a big sale at Takashimaya. 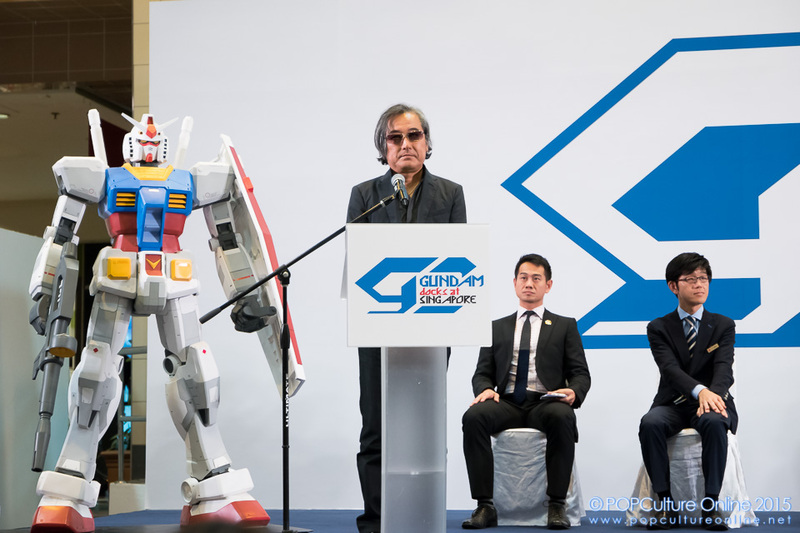 With news of legendary mecha designer Kunio Okawara plus the voice actors (seiyuu) of Gundam Build Fighters Try coming down, you can be sure it is going to be one big celebration of Gundam and Gunpla. 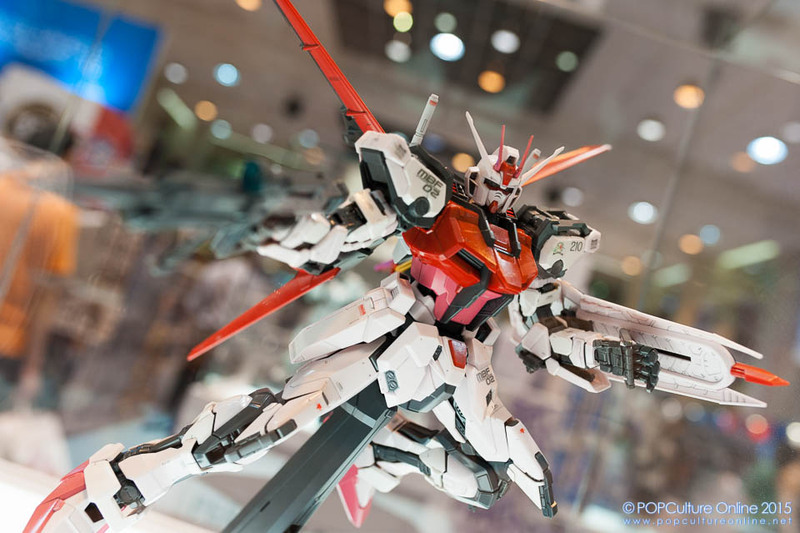 The weather and heavy traffic didn’t stop many Gundam and mecha fans as Takashimaya Basement 2 was full of people looking at the many Gunpla on display as well as looking for a good deal on the many Gunpla (Gundam Model Kits) on sale. From the classic Gundam RX78-2 and Zaku to the latest ones from Gundam Build Fighters Try and Gundam Unicorn, there is a Gunpla for everyone including the cute and multicoloured Bearguy. 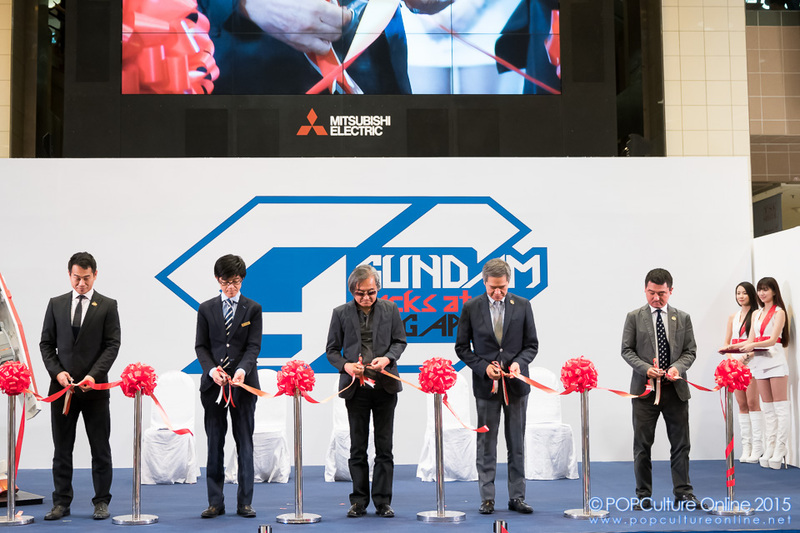 As a special Treat for all Gundam fans, legendary mecha designer Kunio Okawara was present for the official opening together with Organisers Bandai Namco Asia and Takashimaya to cut the opening ribbon. 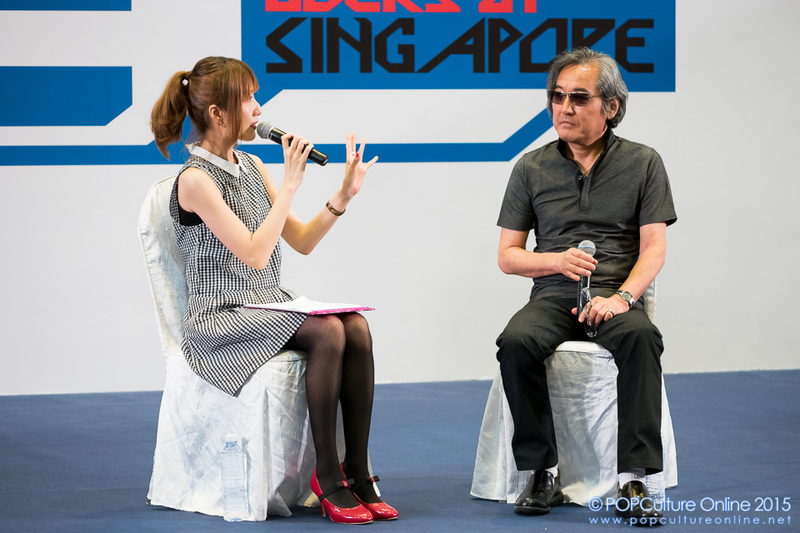 Sharing how his impression of Singapore was always a positive one since his first trip here years ago, Mr Okawara also joked how he noticed that Singapore had many Mercedes luxury cars and the thought to change his Jaguar to a Mercedes resulted in that. Mr Okawara also touched on his inspiration for designing the Gundam like how the head of the Gundam is inspired from the helmets that acient Japanese Samurai’s wear into battle. He also shared how as a designer he has to also take into consideration the animators working and not go overboard with the mecha designs especially back when there were not modern software to help with the animation. When asked earlier about what he thinks about people’s facination with robots, Mr Okawara commented that the attractiveness or the charm of mecha is not in the machines themselves but rather the possibilities beyond the machines. Mechanics or machines in itself can make the impossible possible which fans are attracted to. Using smartphones as an example, before they existed, our lifestyle were very much different. Yet when smartphones came about, it is not really the smartphone that we are interested in but the posibilities the smartphone brings to our lifestyle. Ending the session for the day was the autograph session for the first 100 fans who bought the exclusive SG50 Gundam model kits with Mr. Okawara. 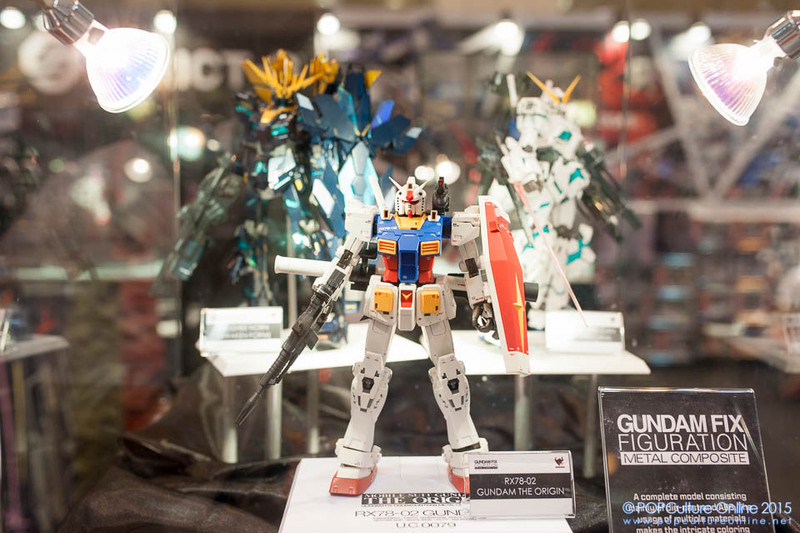 In the meantime, do check out our Facebook Photo Album of Gundam Docks as we continue to upload photos from the event. © POPCulture Online 2015, All Rights Reserved.